Your baby is growing up, and fast. This means feeding will include more than milk. 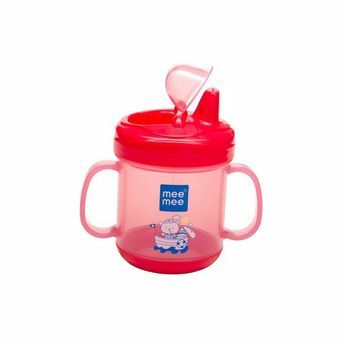 Mee Mee No-Spill Sipper Cup makes this stage a joy for both, your baby and you to enjoy a variety of soups, juices and other essential liquid foods without any worry. Continuous use results in easy training to drink from a cup in just a few weeks. The unique non-spill function keeps the liquids inside the bottle in a slanted or sleeping position. This also makes it ideal for travel and easy to carry in your bag.